Gorgeous design meets unparalleled durability. The Felicity collection is white sling with impressive new features that sets the precedent for luxury patio furniture. Its all-weather resin sling is intricately coloured with layered shades. The aluminum arms and back are painted with an immaculate finish indistinguishable from teak that is difficult to chip and won't fade over time. Effortless maintenance and rust-proof aluminum makes the Felicity a must have for enhancing your luxury patio living experience. Nile Teak Round Patio Bistro Table The Amazonia Teak sophisticated line combines quality, style, and comfort. Crafted of high quality teak (Tectona Grandis), this modern furniture collection will make an immediate impact in your patio. 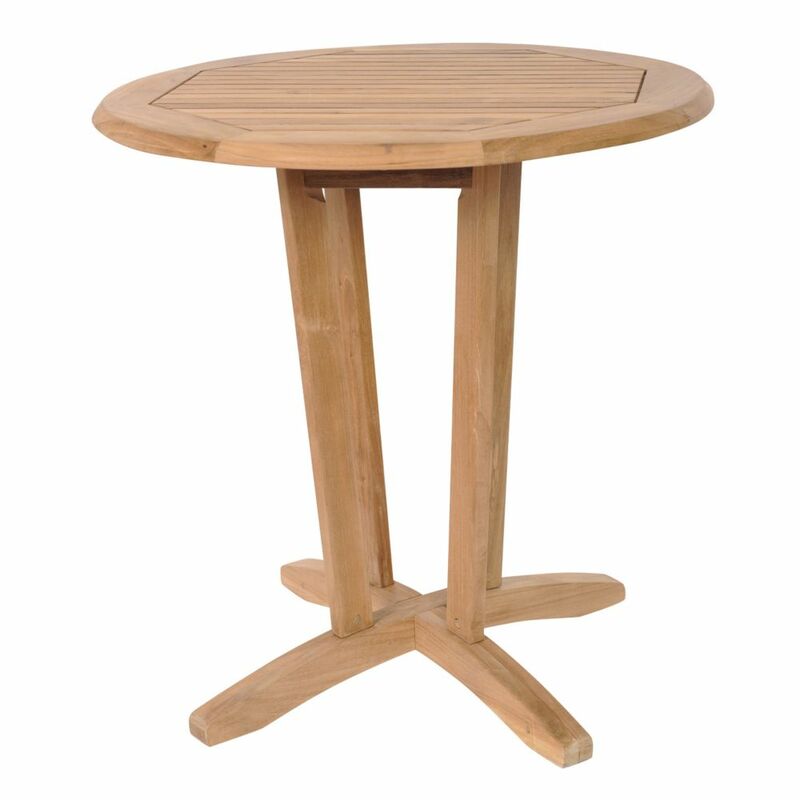 Nile Teak Round Patio Bistro Table is rated 5.0 out of 5 by 1. Rated 5 out of 5 by Michael from Easy to assemble with all of the right hardware and... Easy to assemble with all of the right hardware and easy to follow instructions. Great quality and price!